With the onset of September, my to-do list signals that the time is right for holiday planning – making the paper toys, that is, for Hoss gift giving assignments, our annual event. 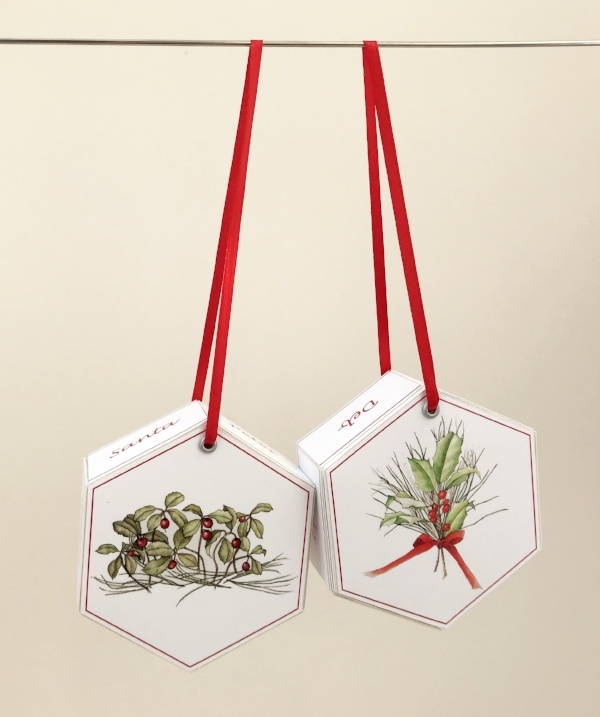 Commemorated on this year’s ornament is my sister-in-law Madeline – retired special education teacher, avid gardener and chef, poet, and most notably for my purpose now – botanical artist. Stunning, right? I save everything she sends. Happy holidays for real, before we know it.